Many people are convinced that fat is bad for you--in all forms, in every way, period. This is not fully the case, however. Fat does not necessarily make you fat. The fact is, we need fat to survive. This article will explore the good and bad parts of fat. The body produces some of the fat you need, which is made up of three molecules joined together, called triglycerides. In addition to these, there is fat that is necessary for a healthy life but cannot be made by the body. These are called essential fats, which are consumed through the food you eat. Fat does a lot of important things for the body. It helps absorb fat-soluble vitamins. It keeps skin healthy. It cushions organs. It is a concentrated source of energy, lasting longer than carbohydrates. Omega 3 fats keep the heart healthy. Some fats can help lower cholesterol. And fat is responsible for helping us feel full after a meal. Food without fat leaves the consumer unsatisfied and hungry shortly thereafter. This is also because fat is what makes food tasty. How can something so good be so wrong? 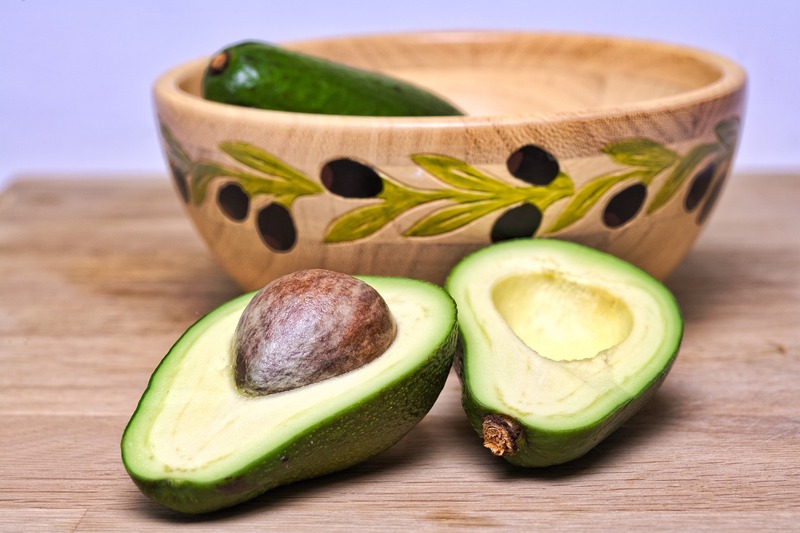 Let’s explore which types of fats should be present in the diet. Avocados are known for their healthy fat content. Fats are not all bad for you. Here are descriptions of the main three fats found in food, and their effect on the body. Unsaturated fats: Typically found in plant foods. There are two main types. Polyunsaturated, found in fish and nuts, also called Omega-3 fats. Monounsaturated found in olive oil, avocados, and almonds, also called Omega-6 fats. A diet that is high in unsaturated fats helps lower cholesterol and the risk for heart disease. Saturated: Typically found in animal foods and byproducts. Usually solid at room temperature. Examples include cheese, butter, and coconut milk. Manufactured foods high in saturated fat include pastries, pies, potato chips, and pizza. Too much saturated fat is linked to a higher risk of heart disease. Trans: Typically found in processed and packaged foods. Trans fats are technically unsaturated fats that have been processed so that they essentially become saturated fats to the body. They are found mostly in packaged foods and some butter and margarines. A healthy diet limits trans fats similarly to saturated fats. In the past few decades, fat has been demonized as something that leads to obesity. But there is a difference between having too much fat and having no fat at all. That’s because fat is necessary to live a healthy life. Fat can be good for you. Plenty of Americans, however, eat a diet that consists of too much of the wrong kinds of fats. Too much saturated and trans fats in the diet has been proven to lead to obesity, high cholesterol, heart disease, and plenty of other health concerns. Additionally, because fat is a concentrated source of caloric energy, fatty foods contain more calories in a smaller amount of food. So, a spoonful of peanut butter has more calories than a piece of toast. But peanut butter will also keep you feeling fuller for longer, so less is more in some cases. It is recommended that 30% of total calorie intake come from fats. In America, however, it is estimated that we consume at least 40% or more of our daily calories in the form of fats. Flavoring your food with unsaturated fats and cutting down on processed and packaged foods can be an effective way of consuming the right kind of fats in smaller amounts. If you are obese or overweight, it is likely that you have been consuming too much fat in your diet. Making a drastic shift in your diet can be difficult to do cold turkey, even when you know you need to do it for health reasons. With the help of a dietary supplement like Hydroxyelite, you might experience an easier time shifting your diet and shedding your fat. The key ingredient, Garcinia Cambogia, is a tropical fruit that has been shown to suppress the appetite. When you begin to eat less saturated and trans fats, you may experience a hunger for these types of foods as your body gets used to functioning without relying on them. 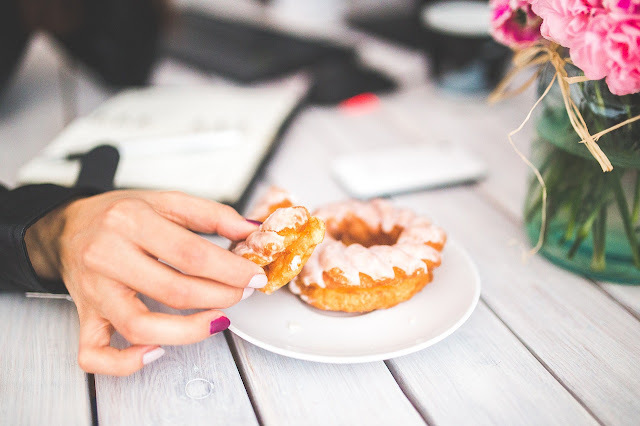 With an appetite suppressant, you may curb the cravings until it becomes habitual to choose unsaturated fats over the saturated and trans fatty foods. Fat can be good. There are plenty of ways to make it a positive source of energy in your life. If you struggle with your weight, getting to a healthy amount of fat in your diet could be all you need to start looking and feeling healthier.